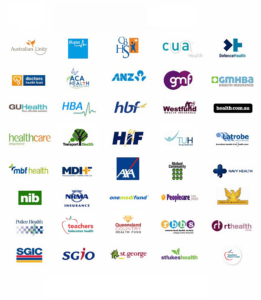 Do you have private health fund cover? Most private health funds in Australia offer cover for remedial massage and myotherapy under "extras". At Tension Release we are able to provide a receipt to claim any entitlement for Remedial Massage or Myotherapy. Private health fund rebates vary depending on the health insurance company and your policy. We recommend you check with your private health fund to see what treatments your policy covers and the amount of the rebate. Extras cover for massage usually applies only to therapists who are accredited. Our therapist are accredited with Massage & Myotherapy Australia. Should you have any queries please contact Sheryl McWilliams on (03) 9863 7011.